Most workers have a cubicle, a workspace or (if they're lucky) an office. It's safe to say that Leslie Ann Jones has a domain. 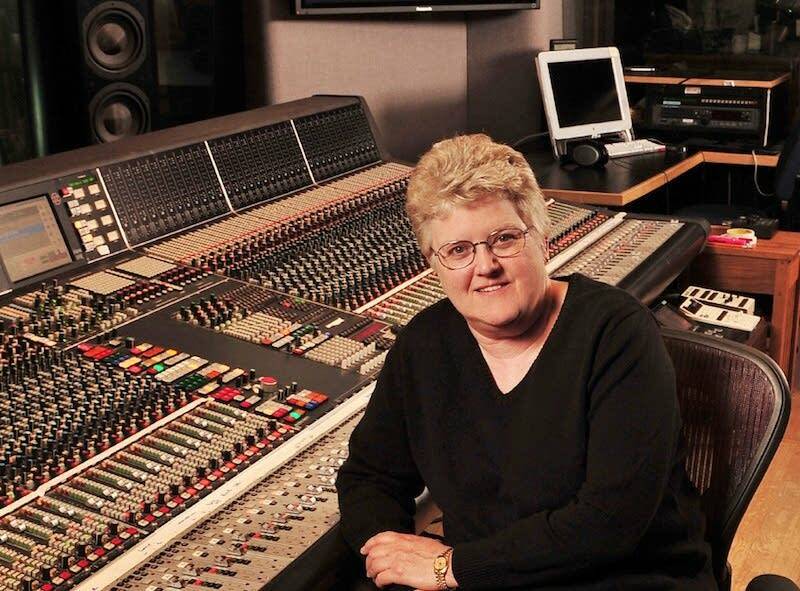 As the Director of Music Recording and Scoring at Skywalker Sound, she oversees all sound production in the massive Skywalker scoring stage (see video below). Past recordings include everything from a full orchestra to a solo instrument and even a Mercedes-Benz. Leslie Ann says she got into music production the old-fashioned way: She was born into it. The daughter of bandleader Spike Jones and singer Helen Grayco, Leslie Ann grew up in a musical world. Later a member of her own band, Leslie Ann started to experiment with audio production and recording. Soon she was hooked. Her career led her around Southern California, recording and mixing with such artists as Santana, B.B. King, the Kronos Quartet, Bobby McFerrin, Miles Davis and Herbie Hancock. And that list could continue for several more pages. Although she started in record production, Leslie Ann has recorded for several large-name video games as well, including Star Wars: The Force Unleashed, Gears of War 2, and Dead Space. And if you worry that Leslie Ann's incredible talent has gone unappreciated, she has three Grammys sitting at home. Not one to brag, she calls them "pretty cool." Jason Graves - Dead Space "Theme"
Steve Jablonsky - Gears of War 2 "Theme"